Hoo boy is the feral left super mad at Kanye West for having the AUDACITY to meet with Potus elect Donald Trump. I will also predict that Kanye West will be president some day of the United States too. I can’t predict if it will be as Republican or what is left the Democrat Party (if they even exist by then). I also predict that if Kanye West floods America with illegals that I and many others will use our persuasion and money power to stop him from winning, thus negating my previous prediction of a win. NO ILLEGALS EVER AGAIN! Now onto why Kanye West met with Trump, for real. Snoop Dogg use to be real buddy buddy with Trump (watch the 2012 comedy central roast of Trump by Snoop or previous apprentice seasons) but Snoop is just too feral left now, so now he hates Trump. Kanye would be great for race relations, especially as African outreach. I can’t figure out how to search my old twitter feed but I agree with Mike and Scott Adams and other persuaders, who also said this months ago that they predicted this will occur. Great move for Trump, and great for Kanye’s image and brand. Eventually people will get over their dislike for Kanye and it’ll be 2016 race all over again. Where everyone says “he’s a clown! He’s crazy! he’s a sexist! His wife is a pig!” blah blah blah. I expect Kanye West to be much more liberal/leftist than Trump though, so I want to keep an eye on him for the time being and DO NOT underestimate him. But for now, Kanye is on our side. Mike Cernovich’s periscope (https://www.periscope.tv/w/1YqKDAWNLleGV) said it best, it’s a “base line rant (argument? I couldn’t make out the last word), that the fake news is just focusing on one aspect of a person’s usual routine and making it look like that’s all they did. Example. The current fake news attack is Rex Tillerson met with Putin and shook his hand. In fact we have pictures! Look! But as CEO of one of the world’s LARGEST oil and gas companies, of course it’s Rex’s job to meet with heads of states, especially of other nations that are primarily big exporters of OIL AND GAS like Russia is! Mike’s point is that if you apply basic common sense and question asking, you’ll realize the fake news media like idiot CNN are just zeroing in on one small aspect of the bigger picture to make it look like that’s all they did. It’s a form of lying. Another example was Trump and Kanye West’s meeting today. Feral Left, “Oh my god! Trump blew off all his meetings to meet with Kanye West.” No dumbasses (idiot far left). Trump meets with 100’s of people every day. The meeting was only 15 minutes long or so and meetings don’t have to take place in person! Kanye was just 1 person out of many for the day, and it will always be like that. I want to become more creative when spotting these fake news hoaxes. It’ll come in handy for all of us later no doubt. Mittens (Mitt) Romney Got Super Cucked – Is Nikki Haley Next? If you look closely enough, you can see the eyes of a man that was cucked beyond measure but he can’t admit it in public. Poor sod. 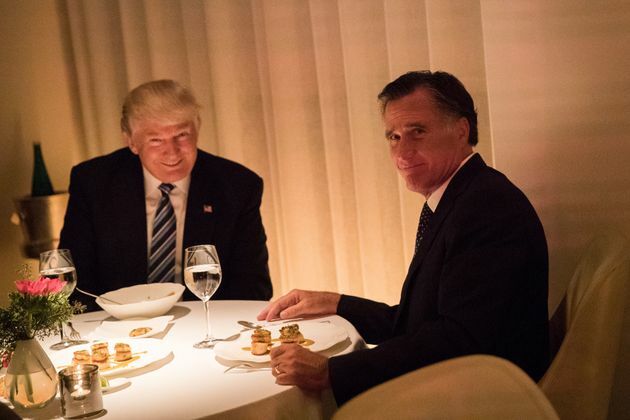 Think twice next time, Mittens, if there is a next time. So I strongly suspect that Nikki Haley, as UN ambassador, will get super cucked by Trump. I know Donald said he will withdraw billions from the United Nations from the global warming funding (we do that?!) and there are probably other tricks up his sleeve. The point is, Nikki Haley will be left to clean up the destruction by Donald (and get ripped apart by everyone hahaha) or put her in a position of pure embarrassment and say, “Look, I gave Nikki a chance and she blew it. She’s terrible. You’re fired Nikki.” Man, what a way to go down in flames lol. Bonus content; Bill Kristol got cucked and resigned from the Weekly Standard as chief editor. I don’t care enough to know if he is still with them. The damn RiNos, globalists, feral liberals who all betrayed us will feel our reckoning. And it feels great! You should watch my Pro-Trump movie Underdoges on Amazon because it’s a semi-autobiographical film about how a cucked man becomes uncucked then wins at life.